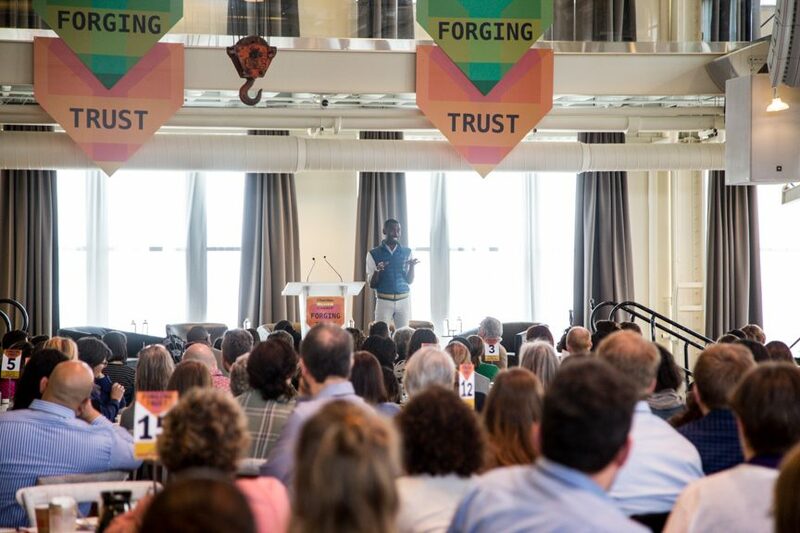 For us, forging trust also meant moving from conversations and dialogue to tangible and actionable next steps. Unveiled at FORUM 2017, Charities Review Council’s Diversity, Equity & Inclusion (DEI) Toolkit was designed to help organizations across sectors take that next step on their journey towards equity. Why a toolkit you ask? Well, from 2013-2016, Charities Review Council found that more than 86% of nonprofit organizations served needed assistance before meeting the Diversity, Equity & Inclusion Accountability Standard®. Nonprofit leaders shared a need for a tool that was affordable, focused on organizational development (versus individual training), and self-administered, not requiring the assistance of a consultant to decipher the results. To “be the bridge between the ideas of equity and the actions of equity” Charities Review Council developed the DEI Toolkit. Not just for nonprofit organizations, businesses, schools, and local municipalities can use the Toolkit to build a more effective and reflective organization from the inside out. The Toolkit provides a resource for conscious organizational reflection and action. It helps organizations understand their own internal diversity, set goals, and commit to organizational priorities that enhance diversity, equity, and inclusion efforts. Want to start #ForgingTrust in your organization? Get started with The Diversity, Equity & Inclusion Toolkit today!